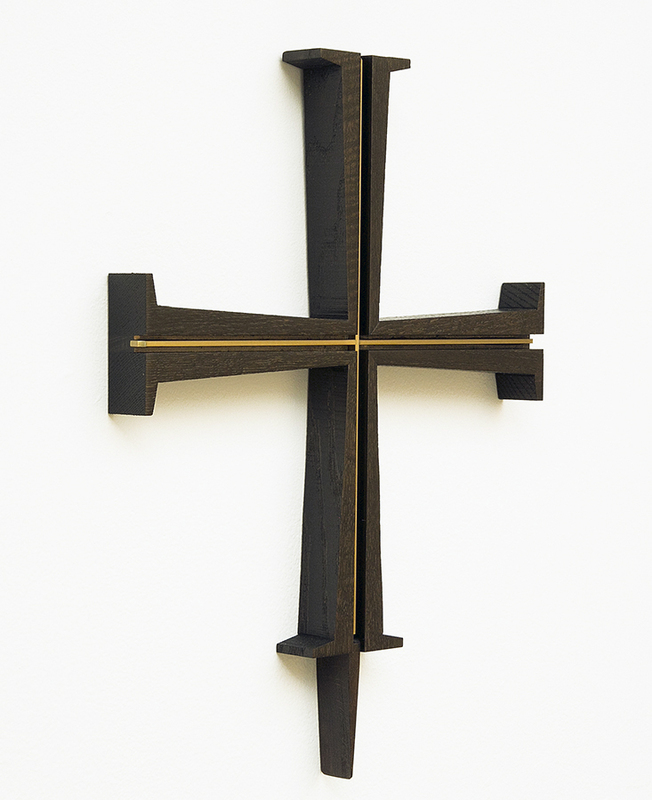 The Saint John's Cross has become the identifying symbol for the wider Saint John’s community. Designed by Br. 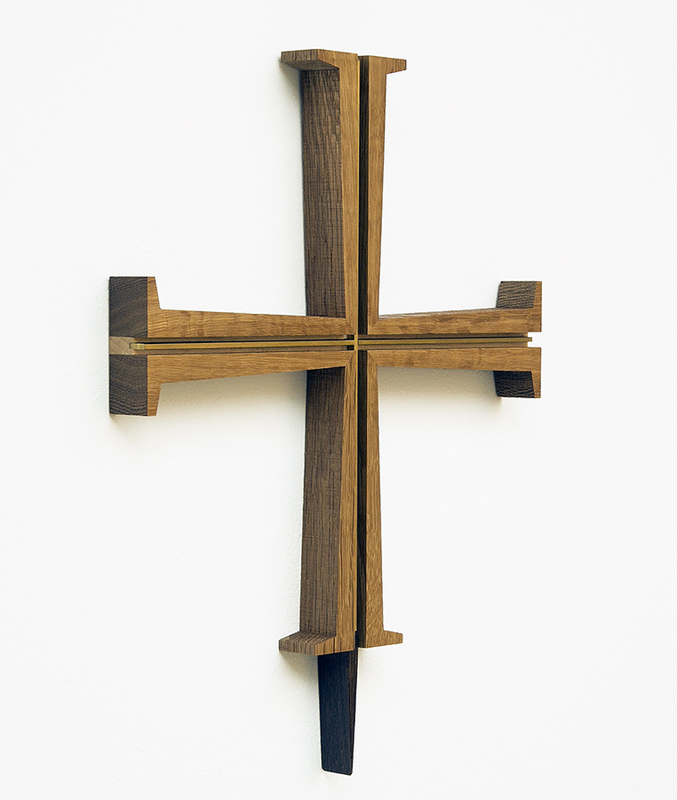 Frank Kacmarcik Obl.S.B., this cross was rendered into wood and brass by local organ builder, K.C. Marrin, to be given to the monks upon their entrance into the community as a sign of their commitment to follow Christ. 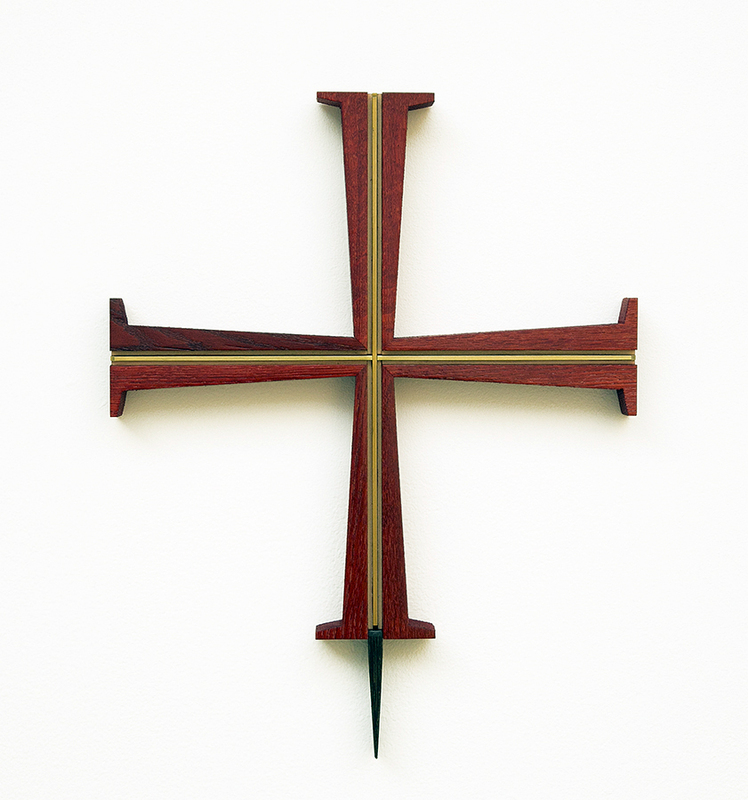 Abbey Woodworking handcrafts this cross out of oak from the Saint John's forests to share with guests, alumni, and all who wish to reflect upon the cross. 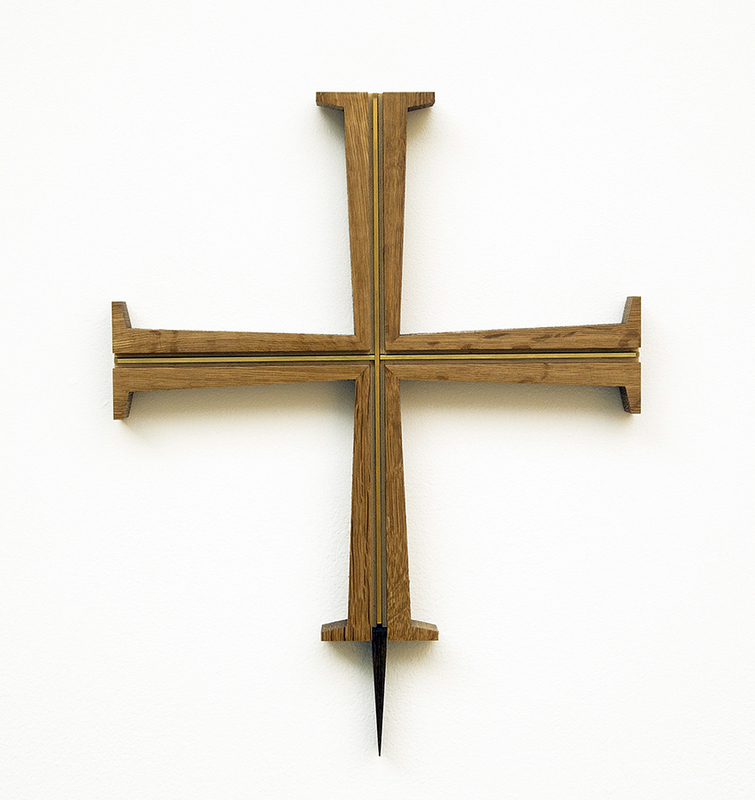 The arms of the Saint John's Cross are left with the saw marks clearly visible to reveal the roughness of the Cross. 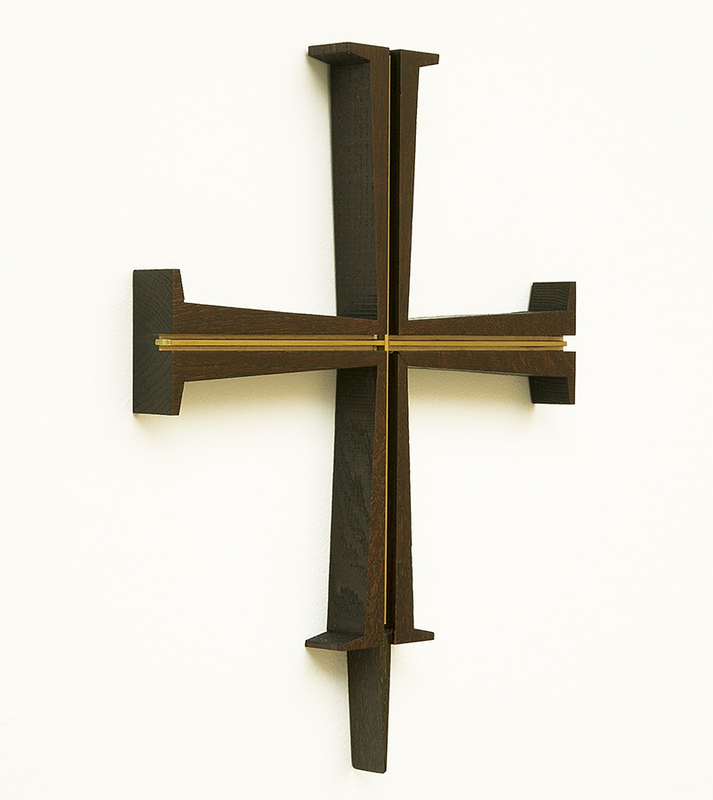 It is divided in the center allowing light to emerge in symbolic reference to the resurrection of Jesus, an inseparable part of his death on the cross. 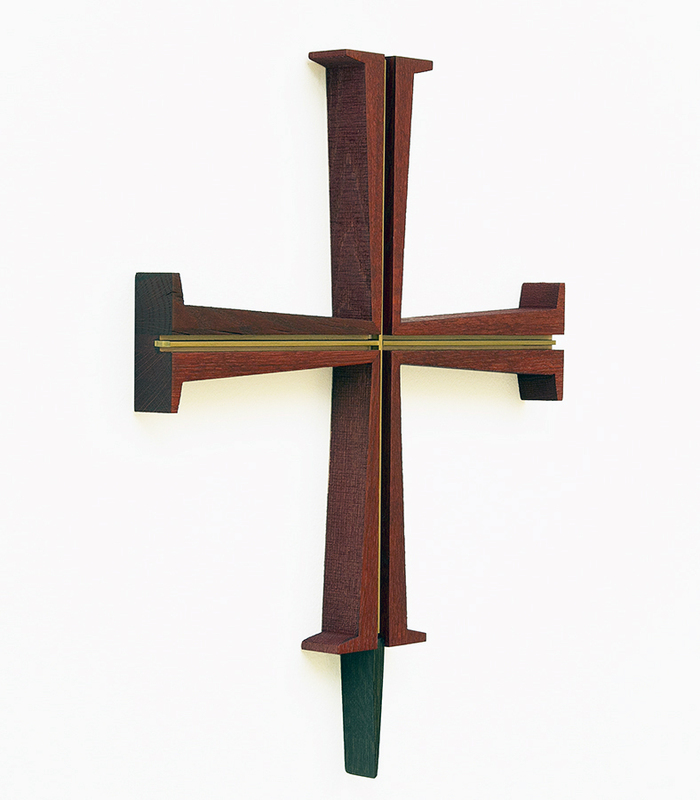 In this rendition, a brass insert in the center of the cross depicts that light. The point at the base refers to the use of the cross in liturgies where it is carried in procession.